Need to Influence a Policy but Need Some Help? You need to influence a policy but need some help? Follow these steps, and above all, know that you need to consider both your “inside” strategies and tactics, and your “outside” ones. Inside strategies refer to how you’ll build alliances with committed legislators to usher your bill through the process. 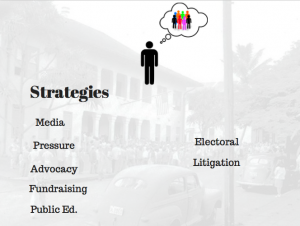 Outside strategies and tactics refer to how you’ll complement your inside strategic timeline with awareness, media, and public influence to support your position on your policy or policies. The more controversial your policy (think constitutional amendment), the more you’ll need outside support, the less controversial (think resolution that puppies are great), the less public pressure you’ll need. Find a legislator who is commited to taking your bill to the finish line with you. If you can afford to hire a local lobbyist, you may want to consider that. Legislators typically divide up into “voting blocks” so you should try and find out who’s voting with whom. Legislators in big voting blocks typically have more chances of passing your bill, but that’s not always the case. The main thing you want is a champion who is commited to getting it passed. Have your champion request the bill to get drafted (legislators can request a bill to be drafted by government staff lawyers). Your champion will also usually be your bill sponsor. You’ll also want to find as many sponsors and co-sponsors of the bill as you can. Follow your champion’s lead — she or he should know who the best people are to be co-sponsors and how to bring them on; but you need to be ready to help. Ideally, committee chairs of the committee your bill would go through are ideal (every bill is given a “committee assignment” — the committees the bill must pass through). Which committees are likely to pass the bill through? 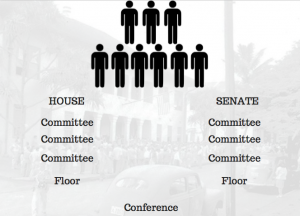 Which committees are not likely? How can you influence the committee chairs, and does the House or Senate leadership support the bill for the floor vote? 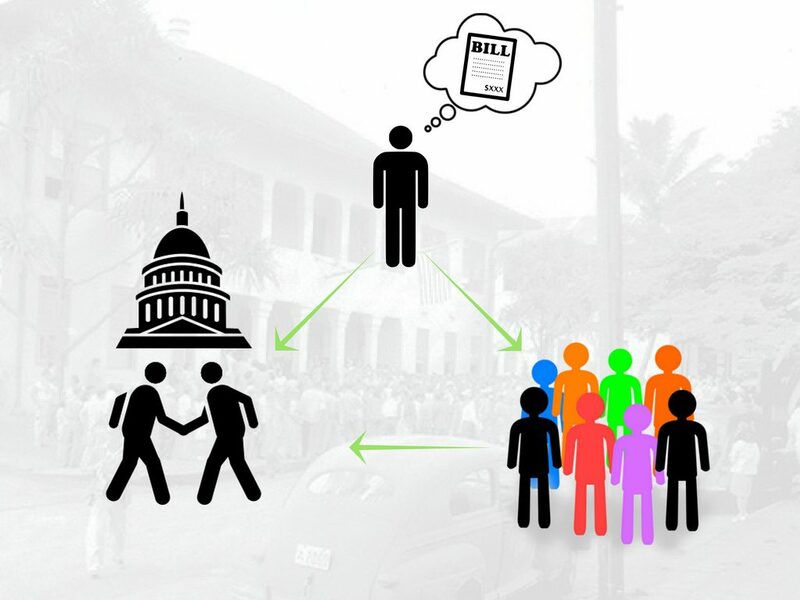 These are all questions you’ll need to walk through with your bill sponsors. Strategy 1: Media — garnering media hits should almost always be rolled into you overal plan. Typically this is thought of as 1) earned media (news covers your issue because it’s a hot topic, 2) paid media (you purchase ads), and 3) social media. Strategy 5: Public Education — This too should be wrapped into the fabric of other stratgies. The one case in which this is a stand alone strategy is when it’s a ballot question (e.g. “Yes on 5”). In a ballot initiative the public decides. Strategy 6: Research — Having a report or poll to back up your campaign is usually a good idea. Be careful not to get too bogged down with this though. Strategy 7: Electoral — It may be the case that you need to start getting involved in supporting and opposing candidates in order to get support for your issue. You’ll typically need to set up a seprate organizational entity to do this kind of work, but the outcome can often be worth it. 1. Be a planner. Planning will help you constantly keep your eyes on the prize and focus on priorities. It also helps you better identify opportunities that pop up and to spirit your way to success. 2. Collaborate. Build a coalition and work with others. You’ll almost always get farther. 3. Be flexible. Usually, some kinds of great opportunities will present themselves. Be flexible enough in your plans to shift things on the fly. 4. Be creative. One time I was part of a campaign that used a huge inflatable Smokey the Bear that we used for press events. We were always able to gain media attention and traction with it. Think outside of the box!